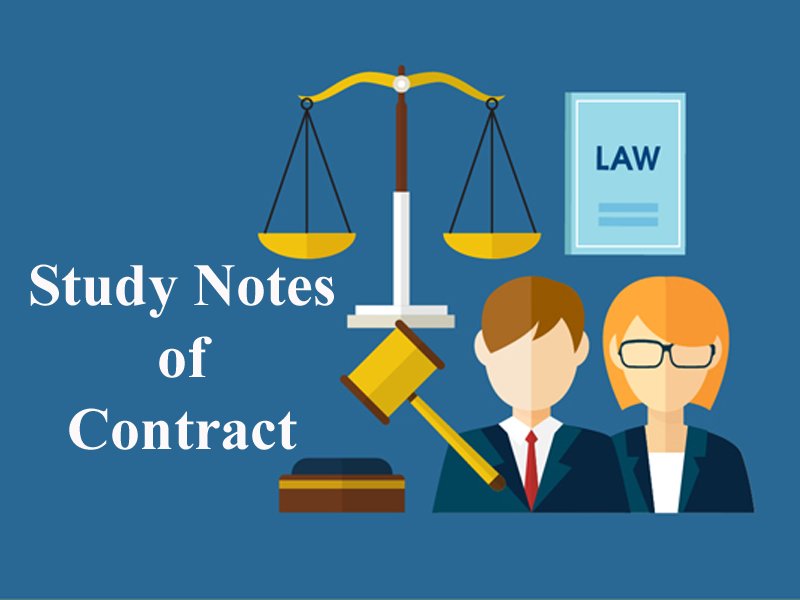 Here we are providing you updated and most relevant Study notes on Contract of Void Agreements for Law Entrance Exam. These study notes are highly recommendable for all those who aspire to crack CLAT, DULLB, AILET and other Law Entrance Exam. A lawful object (end) must be accomplished by lawful means (lawful consideration). There may be free consent, parties may be competent, consideration may also be lawful, but if the very purpose of the agreement is unlawful or illegal, the agreement is void. b) It is of such nature that if permitted, it would defeat the provisions of any law or is fraudulent. c) It involves or implies injury to the person or property of another. d) The court regards it as immoral or opposed to public policy. Pinto and Zora agree to cheat Mr Henry and share the gains equally. Santosh agrees to set important files belonging to Mukesh on fire provided Rajneesh pays him Rs. 50000/- The contract between Santhosh and Rajneesh is void. An agreement, whose object or consideration is immoral, is illegal and therefore void. An agreement is unlawful if the court regards it as opposed to public policy. Public policy is that principle of law, which holds that no citizen can lawfully do that which is injurious to the public or is against the interest of the society or the State. Examples of Agreements against public policy.  The agreement creating an interest opposed to duty. “An agreement not enforceable by law is said to be void” [Sec.2(g)]. Thus a void agreement does not give rise to any legal consequences and is void ab-initio. In the eye of the law, such an agreement is no agreement at all from its very inception. Under the Contract Act, an agreement in restraint of the marriage of any person other than a minor is void. Example: A promised to marry B only and nobody else, and in default to pay Rs 50,000. A however married C and B sued A for recovery of Rs 50,000. Held, B could not recover the amount as the agreement was in restraint of marriage. b) An agreement wherein a person is restrained from pursuing a lawful profession, trade or business of any kind, is to that extent void. Note: There are some important exceptions to this rule.  An agreement of service by which a person binds himself, during the term of the agreement, not to take service with anyone else, is not in restraint of lawful profession and is valid.  An agreement between traders in the same locality not to sell their products below a particular price is valid.  An agreement by which a party is restricted absolutely from taking usual legal proceeding in respect of any rights arising from a contract is void.  An agreement which limits the time within which one may enforce his rights ignoring the provisions of the Limitation Act is void. d) Agreement the meaning of which is uncertain is void. Example: A agrees to pay Rs 1,00,000 when he is in a position to pay. The agreement is void for its uncertainty. An agreement between 2 persons under which money or money’s worth is payable by one person to another on the happening or non-happening of a future uncertain event is called a wagering event. Such agreements are change-oriented and therefore, completely uncertain. Example: A agrees to pay Rs 10,000 to B if India wins a cricket match. f) Agreement to do impossible acts is void. Example: Prona agrees to put life into the body of a dead horse in return for Rs.5 lakhs. g) Agreement contingent on impossible events. Example: Rakesh promises Tarun to a give a loan of Rs. 10 lakhs, if the latter marries his sister, Rekha. However, Rekha is dead at the time of the agreement. The agreement is void. C. No. Giving loans for the marriage of a minor is unlawful. 4. Akash and Amrita decide to cheat on Mrs Maya and divide the gains equally. 13. Prema agrees to put life into the body of a dead horse in return for Rs.5 lakhs. Is this valid? 15. A agrees to pay Rs 10,000 to B if India wins a cricket match. Is this valid? Get the updated and most relevant study notes on Contract of Void Agreements for upcoming CLAT and other Law Entrance Examination.